Since junior year of high school started for me a month ago, I've had my hands full in projects, homework and tests. Thank goodness it's Friday and the end of the first grading quarter in the semester because I can now finally sit down and spend time on my blog which (truth be told) I've neglected for far too long. 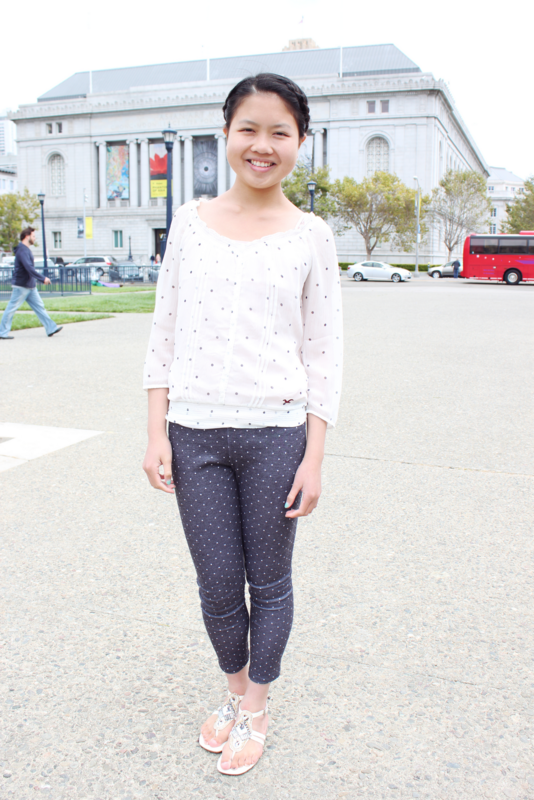 Lately I have been obsessed with wearing polka dots. 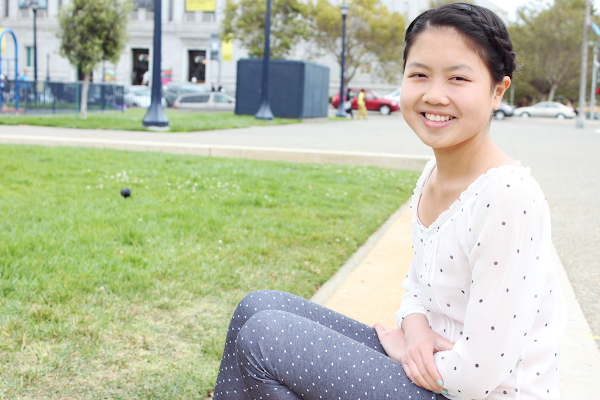 I picked up this blouse and leggings when I went shopping in Milpitas, CA a couple weeks ago. I love the small and subtle print that makes for a flirty and feminine look. To go along with the natural, relaxed vibe of the look I thought I would try my hand at creating a side braid. I found this look on Pinterest and knew I had to try it. 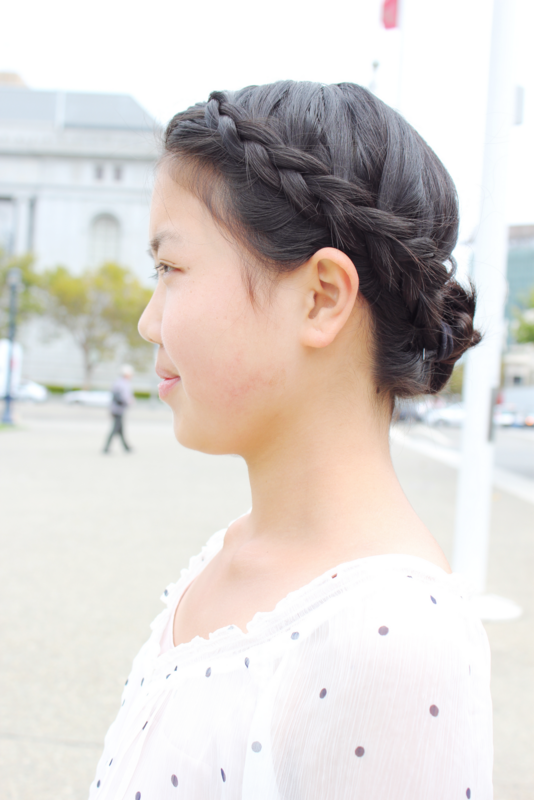 It's almost like the short hair version of the milkmaid braid. Aww, you are too cute. Just found you. Love your hair!